Starring the worlds most used item on social media, emoticons, Happy Faces slots is a thrilling slot game! Packed with wild features to increase your winnings. 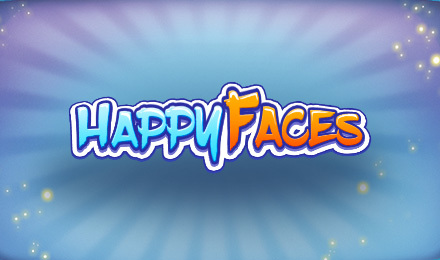 With 5 reel and 25 paylines, Happy Faces slots is an easy going an exciting slot game ready to be spun! Don’t hesitate to grab your wins on this progressive slot machine, where the jackpot is shared with other games such as: The Royals Go Camping slots and Snowy’s Wonderland slots. The game includes features like the multi-stage bonus rounds and a double or nothing option. Enjoy the colourful and vibrant slot game at Moon Games Casino and expect big wins and loads of fun!